In a nutshell: we absolutely love this book. Annie has set out her recipes in a way that makes baking so much easier. Over and above the beautiful photos, easy-to-follow methods and specific ingredients, she carefully lists all the various equipment needed to make each recipe and adds little extras in the way of tips and additional items you may need. Annie takes you through each recipe step by step, uncovering helpful gems like “Don’t worry if the pastry tears”, making you feel like you have a bit of a security blanket because that must have happened to her, so you can’t be half bad either. Other tips might seem like ordinary common sense but make such a difference in understanding what you’re preparing, like “The lemon in the syrup is like salt with potatoes, it brings out the flavour of everything else”. 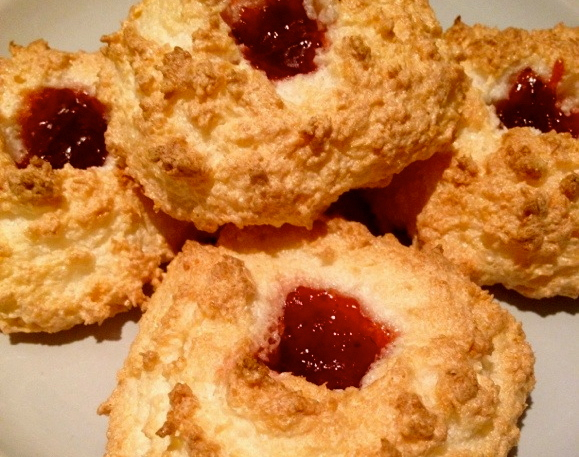 We tried out her Coconut Macaroons recipe and can honestly say that they were a great success. They were so quick to make and the best-tasting macaroons we had ever eaten; crispy on the outside, sweet and chewy on the inside, with that bit of toffee-like jam in the centre. Yum! We passed some around among friends who all went crazy over them and wanted to know where we had bought them. They could not believe that we had baked them. Her lemon bars are just as easy and too delish for words. They come out bright yellow and beautifully textured, from the lemony top to the crisp, buttery shortbread below. If you’ve never baked before, don’t worry. 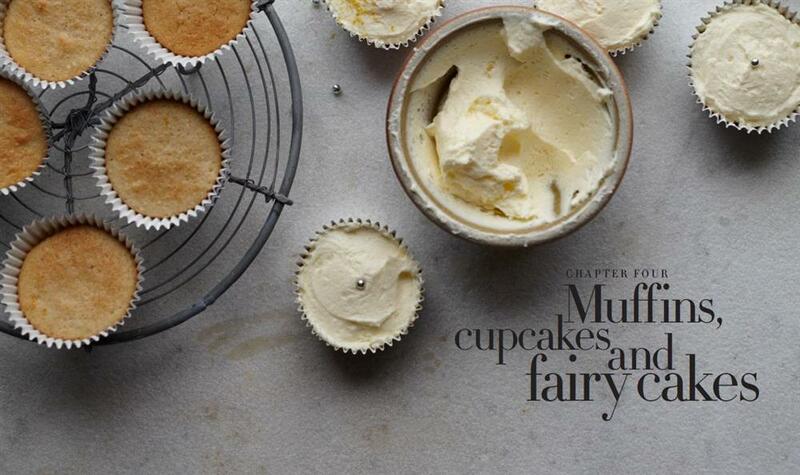 Her book dedicates a whole introduction chapter to the basic art of baking, the different types of equipment and their uses, and the art of decoration and flavourings. 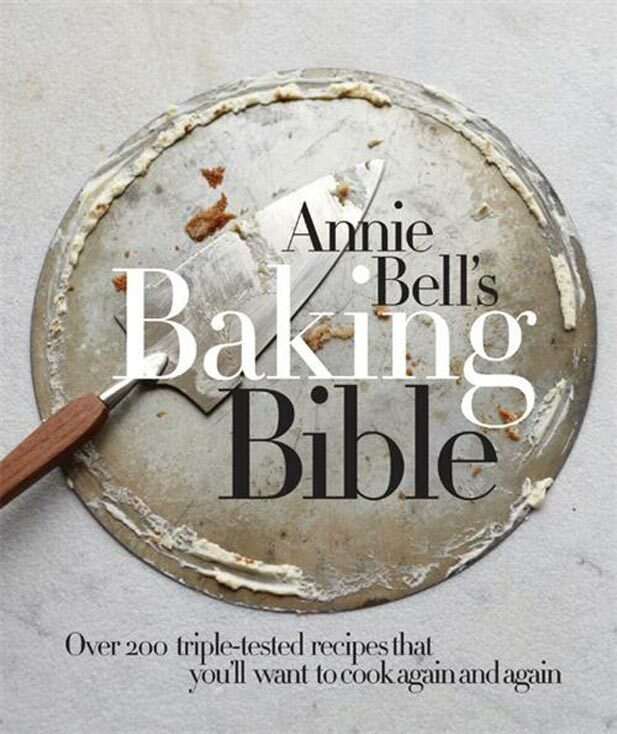 Annie’s Bible then moves swiftly on to her gorgeous recipes, covering cookies and biscuits, bars, muffins, cheesecakes, sponge cakes, tarts, pies, bread and so much more. If you’re in any way interested in baking (or eating delectable baked goods!) then you can’t do without Annie Bell’s Baking Bible. Your friends, family, taste buds and scale will thank you. Grab a copy now.